It’s a busy year for Liverpool Cruise Terminal, with 63 different ships being welcomed by the City, including Celebrity Eclipse, Disney Magic, and Cunard’s Queen Elizabeth. With Liverpool named Best UK Port of Call in the Cruise Critic 2016 UK Editors’ Picks Awards, Cruise Critic rounds up five of the top must-do activities and must-see sites for Liverpool-bound cruisers. Liverpool is synonymous with the Beatles, and in fact, according to a global poll posted on Cruise Critic, almost half (47%) of cruisers stated that the Beatles heritage is what appeals to them most about visiting the City. The Beatles Story exhibition is a must-see for cruise visitors. Located in the Vaults of an Albert Dock warehouse, it reveals details about the band, including their early lives and music successes. While there, the audio tour is recommended and offers excellent insight into this iconic band. Ranked number one of things to do in Liverpool by TripAdvisor reviewers, the Anglican Cathedral is visible from most parts of the city and cruisers can also glimpse sight of it when sailing up the Mersey by ship. It features the world’s highest and widest gothic arches. Visitors can climb the Vestry Tower to enjoy amazing views including the entire city, the River Mersey, and the Pennine and Welsh hills. It’s easily accessible from the waterfront (roughly a 30-minute walk), or you can take the hop-on-hop-off bus. For those cruisers keen to discover more about the City’s history and roots, Merseyside Maritime Museum, International Slavery Museum and Museum of Liverpool are all great places to include in the sightseeing schedule. Highlights of the Maritime Museum include Seized! which looks at the role of the Customs officer in exposing and combatting smugglers and criminals. Titanic and Liverpool reveals the city’s links with the world famous ship, and you can also discover the origins of Liverpool’s seafaring history on a free tour of the Old Dock. Excavations beneath Liverpool ONE unearthed the Old Dock, the 18th century site of the world’s first commercial wet dock. Located in the Cunard Building on Liverpool’s Waterfront, the British Music Experience is a national museum covering British popular music. Offering an interactive experience, it showcases over 600 artefacts, covering music dating back to 1945, and demonstrates how genres such as pop, dance and rock, have contributed towards British culture. A must-see for music lovers. Liverpool’s City Halls are highly recommended stop-offs for cruisers. 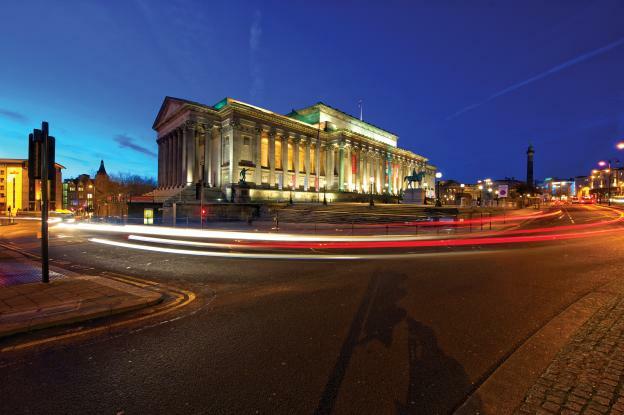 Grade I listed, St George’s Hall is a beautiful neo-classical construction built in the 1800s, and was designed for music festivals and the Civil and Crown courts. Today it hosts exhibitions, tours and talks. Liverpool’s Town Hall is home to the City’s Lord Mayor, and visitors can attend monthly tours with local city council historian Steve Binns MBE, who has led the tours for more than 27 years. Check out Cruise Critic’s review of Liverpool Cruise Port, and also discover the 15 best cruises to Liverpool on Cruise Critic.